This photo was taken from a local newspaper. 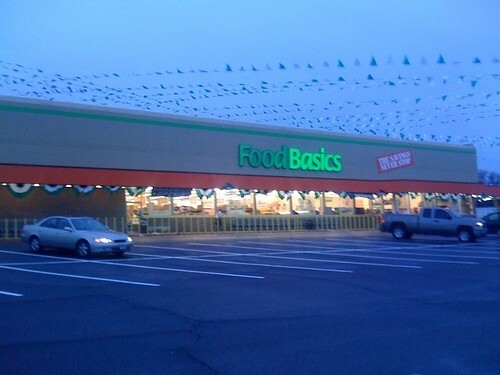 It was right before the store was converted to the FoodBasics model. 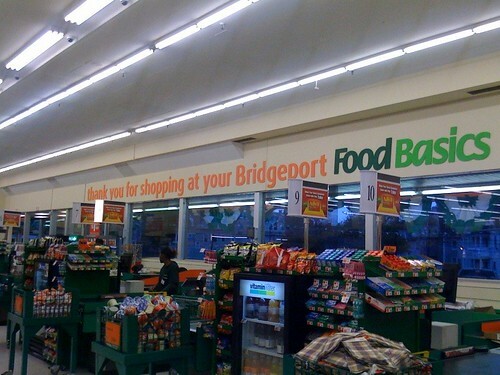 Here are some photos of the store direct from A&P themselves, on their Food Basics Online Flickr page, which also has photos of their Fairview, NJ location, which opened around the same time, and obviously stood open longer. 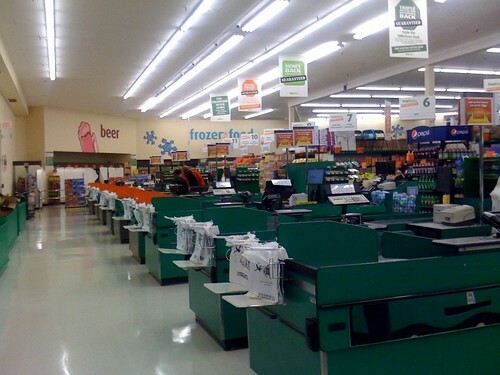 Some new checkout lanes, as well as decor! This store looks great. 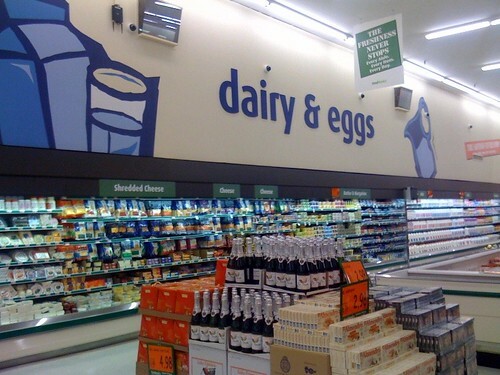 I'm guessing this store had the 90's Foodmarket Decor prior to FoodBasics opening, similar to the Danbury, CT A&P. 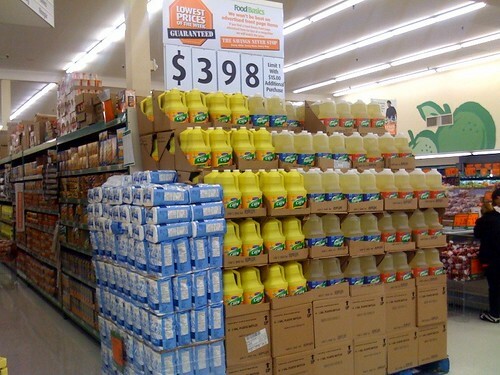 This store uses the standard FoodBasics decor. The font is identical to Acme's Premium Fresh and Healthy decor. America's Choice Baking Needs are in the spotlight here! These photos were taken shortly after the store's soft opening. If you look closely, or zoom in on the photo in Flickr, you can see that the opaque yellow oil containers have the old America's Choice logo! One last look along the front end before we start looking at what happened to the store. What a great photo... at the time. Flickr states these photos were taken with an iPhone 3G! The building as-is while it was abandoned in 2011. Decor was never taken down... it also looks like all the fixtures are still inside, too. The plaza was recently demolished just around the time of A&P's bankruptcy in 2015, and the new plaza opened by 2016. 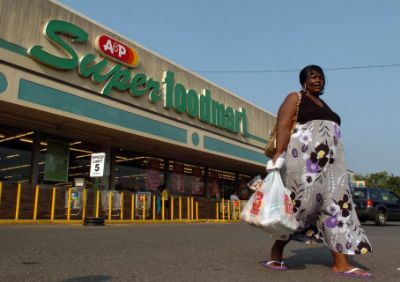 It is anchored by Save A Lot, which was one of FoodBasics' major competitors.